6 Dinners More Uncomfortable Than Your Family's Thanksgiving (Don't invite Beowulf over). Thanksgiving is a time to reflect on what we're most grateful for. It's also a time to reflect on how incredibly awkward family dinners can be. But remember: you're not alone. To help you get through whatever shenanigans are planned for you this year, we've got a list of dinners that were definitely more uncomfortable than your family's Thanksgiving will be. 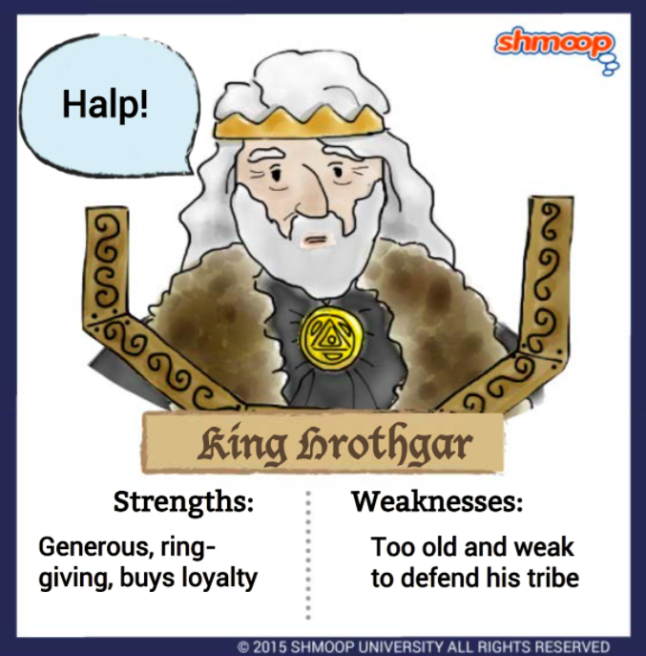 Heorot, King Hrothgar's mead-hall in Beowulf, is home to a lot of not-so-fun stuff. Sure, everything starts out fine, but soon enough, Grendel starts going on the offensive. Let's just say, things get brutal. Apparently Spielberg loves him some awkward dinners. And while Temple of Doom has its share of the supernatural, it's nothing compared to Close Encounters. Roy Neary's UFO obsession makes things a wee bit awks when his kids start crying as he sculpts the mashed potatoes into his, uh, extraterrestrial vision. Okay, it's a Shakespearean tragedy, so we expect a giant bloodbath. But did Titus really need to bake Demetrius and Chiron into a pie and serve it to Tamora for dinner? Or if he did, couldn't he have at least...not told anyone? Ignorance is bliss, right? We're guessing this is one dinner experience you'll never have to live through. The Hebrew Bible is filled with bad decisions. One of them? In the Book of Daniel, Belshazzar and his wives and guests drink out of sacred vessels that were stolen from the Temple in Jerusalem. Not a smart move, and a disembodied hand comes along to let him know he's toast. Back to the Future gives us the peak of awkward: a mom hitting on her son. To be fair, Marty's mom doesn't know it's him, but...yeah. We're done here. Here's to a totally normal Thanksgiving.